Twins Nikolai and Simon Haas draw upon their creative upbringing by an opera-signing mother, sculptor father and actor brother, who taught them to write, sign, paint and play music from an early age. Their art explores aesthetic and formal themes based upon nature, science fiction, color theory…even psychedelia. Their curiosity, visual perception and clever use of multiple mediums set their works apart from the everyday. 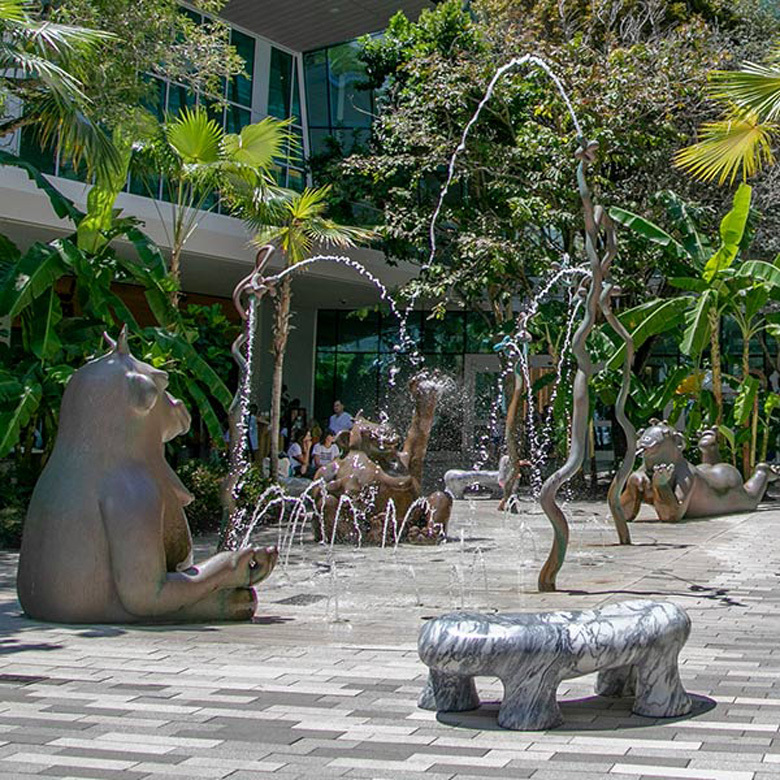 Gorillas in the Mist is a unique public work designed expressly for Aventura Mall. A whimsical fountain comprised of three large-scale bronze gorillas and four massive bronze trees, the piece functionally circulates water, creating a space that is both peaceful and evocative. The Haas Brothers currently live and work in Los Angeles, California.